As a professional foodie, I consider myself extremely lucky to live in the Old Town in Hastings, especially at this time of year, when the Hastings Seafood and Wine Festival is just about to kick into life (on September 20 and 21), and on any given day a jaunty fleet of sustainable fishing boats lands its catch on the shingle beach. Now, Hastings sometimes gets a bad press, but the comings and goings of fishermen, holiday-makers and locals alike give a vivid ebb-and-flow to life here, and in recent years new openings have added yet more layers to the town’s character, including the Jerwood Gallery, a pebble’s throw from the sea, whose well-selected collection of 20th century British art his supplemented by a good café and picture window views of the sea and fishing beach scene. The fishmongers along with this part of the Stade (as they call the seafront in these parts) are all excellent, especially Rock-a-Nore Fishery, with a smokehouse producing smoked haddock and bloaters. 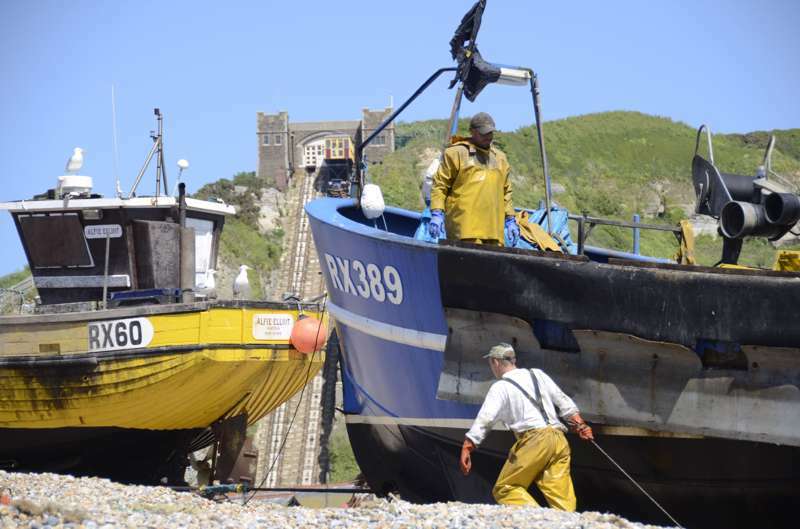 For just-caught bargains, head to the beach huts of the ‘Boys Ashore’ (open mornings only), where a couple of superb Dover Sole can cost just £1.50. Away from the seafront, the characterful High Street is great for food, as well as housewares, bric-a-brac and collectibles hunting. The writer, photographer and stylist Alastair Hendy has a beautiful museum of a shop here, AG Hendy & Co Home Store – and, beyond the brushes and old-fashioned china and kitchenware, a weekend restaurant in the St John School of plain beauty and perfect pitch. I also love Penbuckles, a friendly, well-run deli with good coffee and a fine selection of British cheeses and local produce, next door to which Judge’s has organic bread, sticky buns and cakes. Off the High Street, George Street is also lined with interesting independent shops and restaurants, including the fun Boulevard Books and the Thai Café (BYO is £2 per person). The Falafel Cave, at the back of a shop called Gone Tomorrow, is in a space that could be an MC Escher print, filled with the scent of fresh coffee – and, of course, good falafel. As for pubs, the newly re-opened The Crown on quaint All Saints Street has got the savvy and style of a gastropub but more competitive prices, and a short, clever menu based on local produce that includes not just local beers but also local gins – and Moon Green charcuterie, made nearby and favoured by the likes of London chef Mark Hix. At the top end of the High Street, The First In, Last Out is a proper pub, with a roaring fire and well-made food including a creamy comfort blanket of a rice pudding. Tapas are served on Mondays and a great home-made Indian thali on Thursdays. If you’re coming from the train station, The General Havelock, in the New Town, has historic tiles walls, a friendly landlord and good beer. Last but not least, for fish and chips you’ll need to book a table at locals’ favourite, Maggie’s, or else trawl along the seafront near the Stade. Just beware seagulls swooping down to nick your booty. Read more by Hattie Ellis on her website, and find out more what to do in Hastings and beyond here. Pictures are courtesy of Bob Mazzer.